Discover what your DNA reveals about your health. 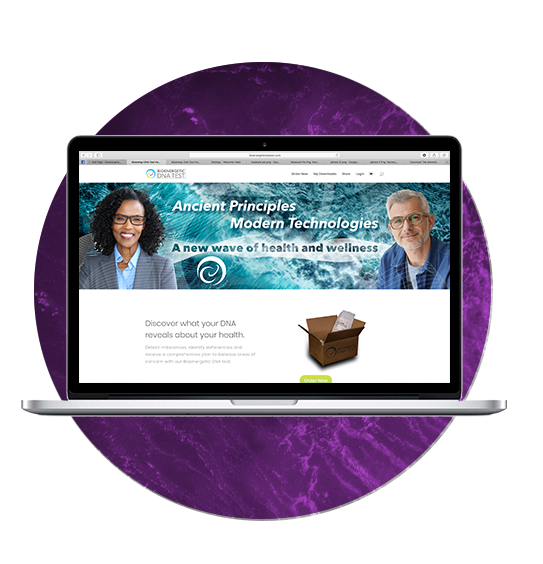 Detect imbalances, identify deficiencies and receive a comprehensive plan to balance areas of concern with our Bioenergetic DNA test. What experts have to say about bioenergetics . . .
Our Bioenergetic DNA Test provides a comprehensive analysis to help detect deficiencies and imbalances in the body systems. This report identifies more than 650 reference points that are grouped into 47 specific categories for ease of understanding. The Voice Message and Wellness Summary are customized to your individual test results for a clear and concise picture of your health and wellness. 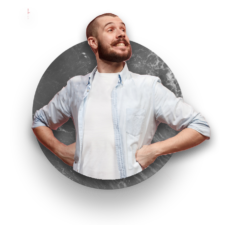 Our Health Practitioner will recommend supplements, foods, frequencies and lifestyle recommendations based on your specific test results. Our unique process identifies patterns in your bioenergetic markers that are analyzed to create custom recommendations to help you live your best life! It’s time to get to the root. Searching for answers to mysterious symptoms? Need answers to existing issues? Want to get crystal clear on what you need to improve your health and wellness? We will help get you on the right track with a customized wellness plan that’s easy to understand and implement. Our test will not identify your ancestry or tell us the color of your eyes, but it will detect imbalances in your body by reading its current frequencies operating within each cell. 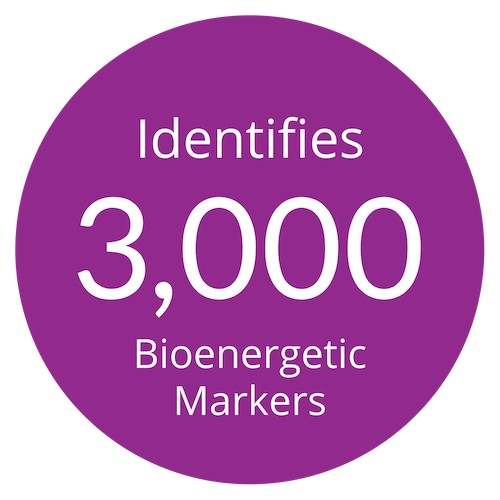 Bioenergetic markers are the 3,000 unique areas of the body that our test analyzes. 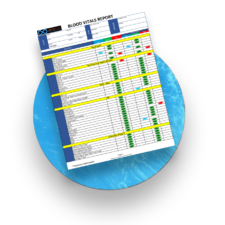 The test measures each frequency found within every bioenergetic marker and displays the results in our 24-page customized report. Bioenergetic DNA Testing saved me from having to spend thousands of dollars on tests! For months I had not felt very good. I was constantly tired and fatigued. This was not my usual self. So, I thought I would try something more natural to see if I could figure out what was causing the sudden change in my health. After the test was performed, the report told me I had a fungus. I started taking an anti-fungal supplement that was recommended and within a month I was back to my old self with more energy than before. I am soooo thankful to have found this out. I can’t imagine the money I would have spent going through so many invasive tests. I get sinus infections fairly easy. They usually last two or three weeks before they go away. I do not like taking antibiotics. I had a friend tell me about DNA saliva testing, so I thought I’d give it a try. The process was very easy and fast. After I started my vitamins my head felt better the next day. I was really amazed how fast it helped my sinus infection. I have never found something that works that good and is all NATURAL! I will use Bioenergetic DNA Testing from now on with any problems I might have. level. It was a very long road to recovery. Years of seeing different doctors with different treatments, but when I did a DNA test 6 months ago, I immediately saw amazing progress. The customized program accelerated my healing, and after 6 months of following the recommendations, I was released from my program! Good News! My osteoporosis has reversed! The doctor says my “bones are stronger than most young women” thanks to your program! babies. I worked out and ate healthy but still couldn’t seem to feel like myself. I mailed in my saliva to get tested. I got my products in the mail very quickly afterward. I started taking them and within a week I felt so much better. My energy level was up and I felt that happy feeling again. Come to find out it was my adrenal glands that were messed up. I would have never figured that out by myself. Thank you Bioenergetic DNA Testing! Bioenergetic DNA Testing is a safe and noninvasive way to get to the root of health and wellness concerns. In just 3 easy steps you’ll be on your way to having the answers you’ve longed to know. No more shooting in the dark just hoping to hit the target. It’s time to get to the root of vibrant health and wellness! 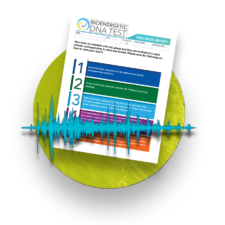 What Bioenergetic DNA Testing can detect. How does the Bioenergetic DNA Test work? Within each cell your DNA emits a specific, vibrational frequency. When those frequencies fall out of balance from stress, toxins, or negative thought patterns then mental and physical dis-ease can manifest in the body. Furthermore, when frequencies are in balance, the body can heal itself and remain resilient – free from sickness and dis-ease. Upon receiving your DNA samples of saliva, urine and hair, our bioenergetic DNA scanner will analyze over 250,000 pieces of data being broadcast via frequencies back and forth through the body. The scan narrows it down to over 650 areas which are then grouped into 47 different categories for ease of understanding. Because of this amazing technology, our health practitioner is able to assess all of the information received from the scan. Furthermore, she can create a customized and comprehensive plan of action to help you on your health and wellness journey. 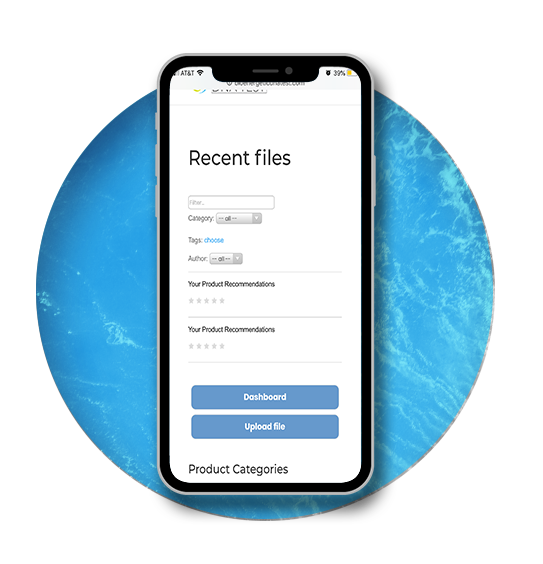 After receiving your samples, your results and recommendations will be ready to view in your online account within 10 business days or less. Will my private information be protected and secure? Yes! We do not give out any information to third party organizations. We use a guaranteed secure process that ensures everyone’s private information is safe and protected. Will this test reveal my heritage? No it will not. Our test analyzes the frequency of your DNA within each of your cells. Through our proven process, we’re able to determine which areas are balanced and which ones are imbalanced. 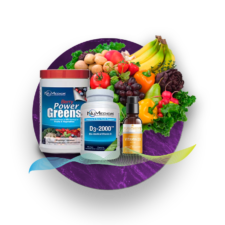 Our health practitioner will create a wellness protocol that includes product recommendations, dietary changes and lifestyle recommendations as well as a timeline for each protocol. Our clients will see the best results when the program is followed consistently for the duration recommended by the practitioner. Can this test be done at any age? Yes! No matter what age, our health practitioner can create a program to help you with your health concerns. It depends on whether or not you want to utilize the treatment recommendations that are suggested by our health practitioner. It’s common for our health practitioner to recommend 2 -6 products depending on your specific needs. She will outline the main areas of concern and you will have the option to choose which products you feel are right for you. What happens after the initial 6-week recommended program? 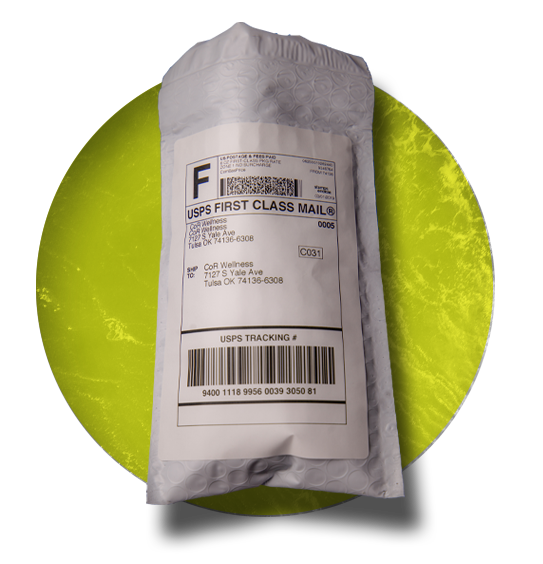 You will receive an email with the option to purchase a discounted recheck kit. This test will identify any improvements or changes that have been made during the 6-week protocol. The recheck will help our practitioner evaluate your progress and determine if any necessary changes need to be made to your program. Take your health treatment a step further. Check out our Bioenergetic Therapy Memberships!